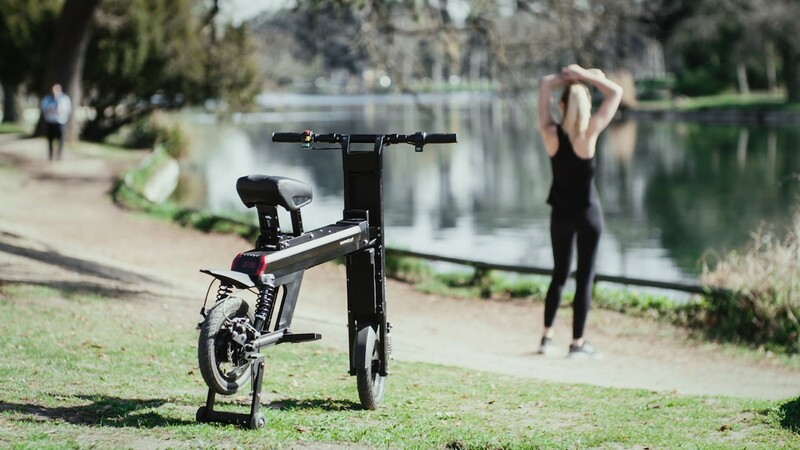 "The Aero is a superb foldable e-bike that dramatically improves urban transport, and marks a turning point in the development of electric mobility. After two years of extensive research and observation, the Aero has been born. Here’s the incredible story. 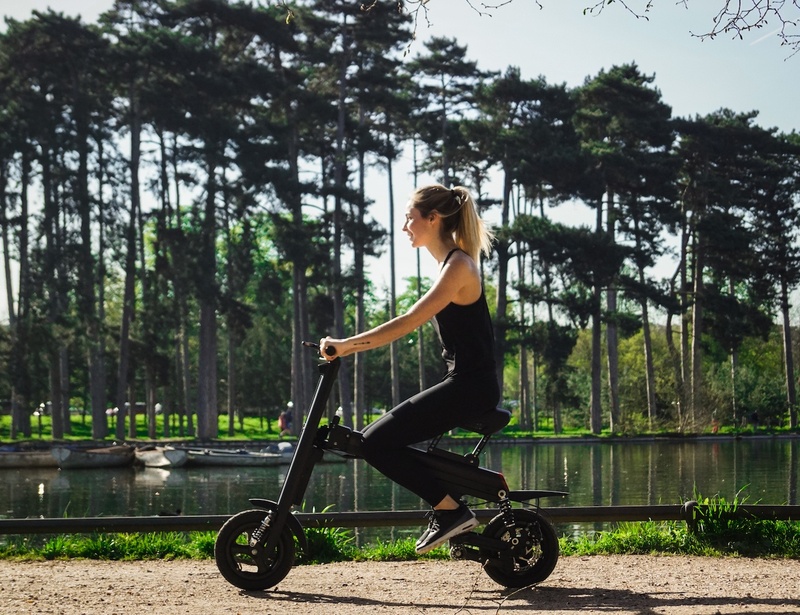 Amazing features: 44 miles / 70 km Range, Max Speed 15mph and packed with the latest technologies…"
The Aero is a foldable electric scooter that combines speed, autonomy and efficiency. 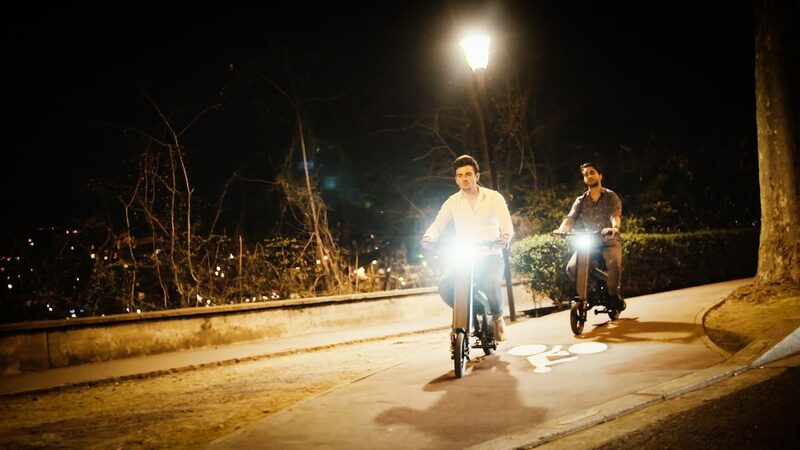 Our team has studied nearly 10,000 customer feedbacks to offer you the ideal solution for your city trips. 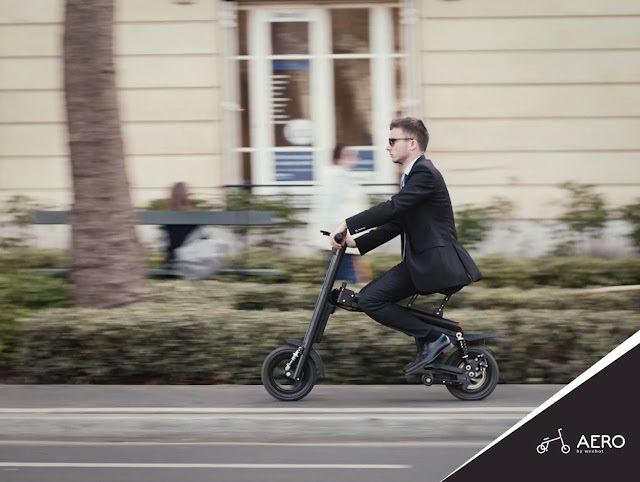 The Aero is foldable in 3 seconds. Its dual rear discs, coupled with an anti-skid system, its front and rear suspensions and its ultra-soft saddle offer an incomparable driving comfort. The Aero takes you to work, to the gym or just for a ride at a maximum speed of 25 km/h (15mph) for 70 km (45 miles) !